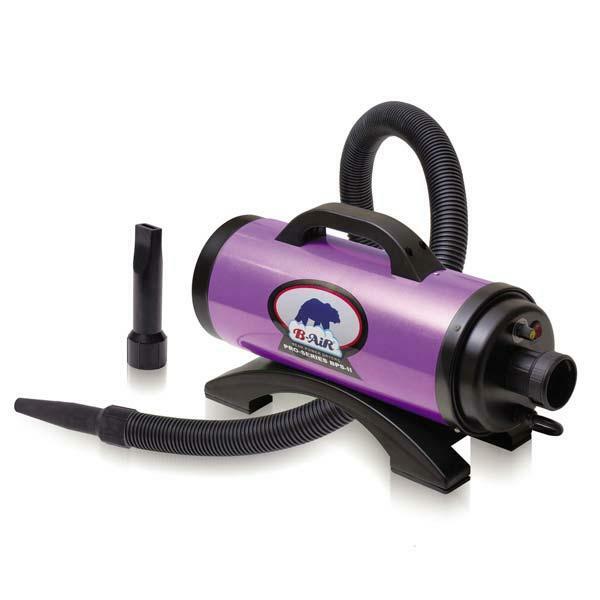 Thanks for looking at our B-AIR PRO SERIES II DRYERS PURPLE! The B-Air™ Pro Series II Dryer features extremely powerful twin turbines that will dry pets faster. In four fabulous colors, so you can make a valuable grooming tool fashionable and fun, as well as functional.